Rhonda Keane Milligan was born and raised in Newton, Iowa. Immediately after graduating high school, she enrolled in Cosmetology school in Des Moines. In order to further her career in the beauty industry, she moved to Southern California at the tender age of 19. After experiencing life on the West Coast for eight years, she made her final move to SW Florida in 1989. Since then, Rhonda’s entrepreneurial spirit has blossomed. She has owned and operated many styling salons throughout Cape Coral and Fort Myers as well as several restaurants and bars. Her next move came in 2004 when she received her real estate license. 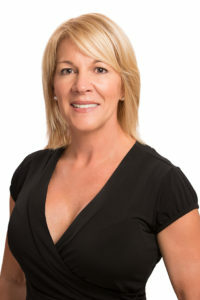 Rhonda’s successful career in real estate is a culmination of her business background, expertise, and ability to anticipate her clients’ needs. In early 2016, Rhonda became a team member of Miloff Aubuchon Realty Group. “The support I have received as part of this company is amazing. I feel like I’m working with family”, says Rhonda. She is committed to the growth and stability of SW Florida and her goals as a real estate agent are to help foster that growth. She attributes her strong work ethic and passion to her experience as a small business owner. Rhonda is married to Barry Milligan, a professional photographer. They both enjoy spending time outdoors with their children and friends. Contact Rhonda Keane, 239.850.1359 or via email, rhondaswfl@yahoo.com.